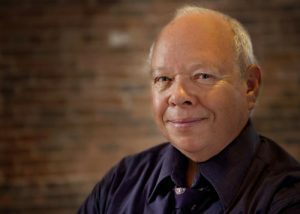 CLEMSON, S.C. — Vernon Burton, professor of history and director of the CyberInstitute at Clemson University, is one of 10 historians from across the country invited to submit essays for the historical portfolio that will be distributed at the presidential inauguration luncheon Monday, Jan. 21, in Washington, D.C. The portfolio is being published by the Joint Congressional Committee on Inaugural Ceremonies to mark the sesquicentennial anniversary of 1863, the year President Abraham Lincoln signed the Emancipation Proclamation. All essays in the portfolio revolve around events of that year. Burton’s piece, titled “Building the Transcontinental Railroad,” gives an overview of the importance of the railroad and the impact it had on America as the country recovered from the Civil War. The Joint Congressional Committee has invited Burton and his wife, Georganne, to attend the inauguration. Burton said that while he has attended a presidential inauguration — the inauguration of President George H.W. Bush in 1989 — this is the first time he has received a special invitation to attend. Before attending the inauguration, Burton will travel to Morehouse College in Atlanta, where he will be the featured speaker Thursday, Jan. 17, at the Crown Forum, part of Morehouse’s Martin Luther King Jr. Holiday celebration. Burton will talk about freedom and education, relating those two issues to the Emancipation Proclamation and King’s famous “I Have a Dream” speech. Burton has written more than 200 scholarly articles and is the author or editor of 16 books, including “The Age of Lincoln,” published in 2007. “The Age of Lincoln” won the Chicago Tribune Heartland Literary Award for Nonfiction and was selected for Book of the Month Club, History Book Club and Military Book Club. Burton recently was elected into the Society of American Historians and just concluded a term as president of the Southern Historical Association. A native of Ninety Six, Burton received his undergraduate degree at Furman University and his Ph.D. in American History from Princeton University. He joined Clemson’s faculty in 2010.